Hi! 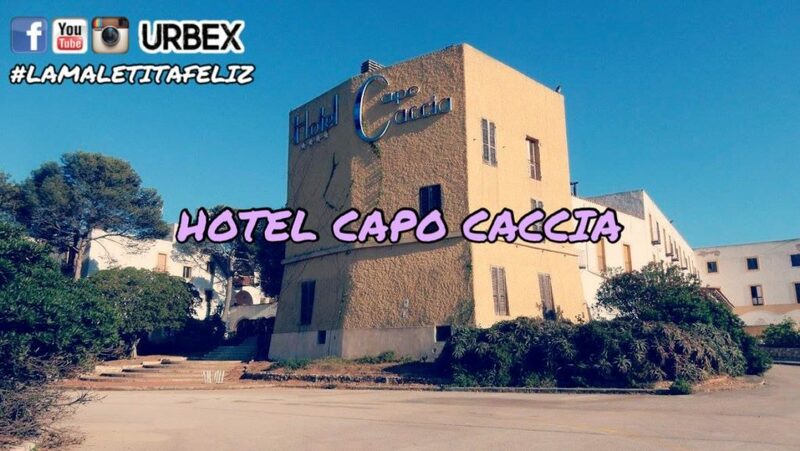 In this exploration I take you to Hotel Capo Caccia, a (ex) luxury 4-star hotel located near Capo Caccia, able to offer a breathtaking sea view to all those who overlook it. This hotel was built in 1964 by the Turin-based company Parabola d’Oro Spa, which introduced the timeshare system in 1973, transforming the function of 160 rooms out of the total 282 from hotel to residential use. The owners of these lodgings (who had the obligation not to change the furniture or the structure) had the possibility to spend their holidays here or in other structures of the society located in various parts of the world. It was a seasonal hotel and was only open during the summer season. Already from this moment the first legal problems arose for the modification of the intended use of the rooms, so that 132 of these were subjected to an administrative seal. In 1977, in the waters of the hotel, a scene was filmed in the movie 007 “The Spy Who Loved Me”, but in addition to this curious episode the structure had to attend scenes worthy of a detective film, as its 4 administrators made a great disappearance part of the proceeds, then declaring fraudulent bankruptcy. 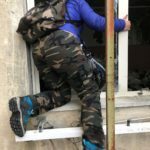 On 6 August 2013 there was a blitz of the financial police seized the hotel, arrested 4 people (including an accountant of Ittiri who was then disbarred) and seized assets worth 8 million Euro, useful to correct the deficit of 15 created by illegal maneuvers. The owners of the rooms-apartments got together to form a condominium in order to get them back, so that they got the release from seizure. In 2016 a sale auction was set up for the entire structure (the starting price of around 8 million Euro) but nobody offered to buy it. Being a structure under judicial seizure, the Hotel Capo Caccia access is completely closed , but the urban exploration worths the breathtaking view of the sea.